MEF backgrounders highlight select news-relevant research and analysis from Middle East Forum staff, fellows, and publications. Sign up to the MEF mailing list to stay abreast of our work. Please direct media inquiries to Gregg Roman at Roman@MEForum.org. President Obama is reported to be considering a major reversal in the decades-long U.S. position on recognition of Palestinian statehood during his final months in office. Previous administrations vocally maintained that the international community should not recognize or formally acknowledge Palestinian statehood until a final-status Israel-Palestinian peace settlement has been reached. Obama, having failed demonstrably to make advancements toward Israeli-Palestinian peace during his nearly eight years in office, believes UN action can get the process back on track. As Middle East Forum President Daniel Pipes has shown, the call for recognition of a Palestinian state push "is hardly a new idea." 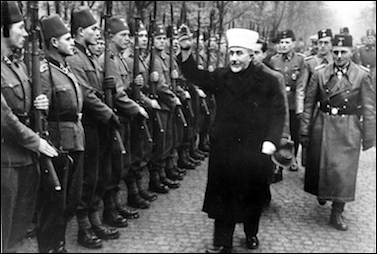 In 1948, Hajj Amin al-Husseini, the infamous grand mufti of Jerusalem, declared the existence of the All-Palestine Government (Hukumat 'Umum Filastin) in Egyptian-occupied Gaza. Hajj Amin al-Husseini in Bosnia, 1943. Though "born to lofty proclamations of Palestine's free, democratic, and sovereign nature, and with a full complement of ministers," he writes, "the whole undertaking was a sham ... [and] quickly withered into insignificance." A second declaration came forty years later, when Palestine Liberation Organization (PLO) Chairman Yasser Arafat declared the establishment of the "State of Palestine" before a November 1988 meeting of the Palestine National Council in Tunis. Though the PLO controlled no territory inhabited by Palestinians, afterwards many Third World and communist-bloc countries extended diplomatic recognition to the new "state." All Western governments refused. Arafat considered making another declaration of independence in 1999, which would have been a flagrant violation of the Oslo Accords, but backed down. In 2009, buoyed by the new Obama administration's pressure on Israel and the burgeoning Boycott, Divestment, and Sanctions (BDS) movement, the Palestinian Authority (PA) "dropped all pretenses of seeking a negotiated settlement and opted for an international imposition of Palestinian statehood without a peace agreement with Israel," writes Middle East Quarterly Editor Efraim Karsh. PA President Mahmoud Abbas launched a unilateral drive to win recognition of Palestinian statehood from foreign governments, the UN, and other multilateral bodies. In September 2011, the PA formally submitted an application for member-state status to the UN, which, as MEF Shillman-Ginsburg Writing Fellow A.J. Caschetta notes in a recent article, "has been reliably in favor of the Palestinians and opposed to Israel" for over half a century. However, the application stalled due to insufficient support in the Security Council, where the U.S. can exercise a veto. In 2012, the PA won a 138-9 vote in the General Assembly to gain "non-member observer state" status, a diplomatic setback for Israel. Meanwhile, pressure on Western European governments to recognize "Palestine" reached an all-time high, in large part, according to MEF Shillman-Ginsburg Writing Fellow Michel Gurfinkiel, reflecting left-wing political parties' growing anti-Zionism and dependence on Muslim immigrant votes. 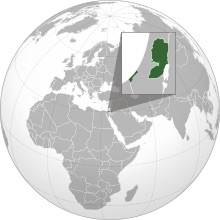 Sweden became the first Western European government to officially recognize "Palestine" in 2014. Although no other European governments have followed suit, national assemblies in the United Kingdom, Spain, and France have passed (largely non-binding) resolutions doing so. In the wake of bruising American-Israeli tensions over the Iran nuclear deal, settlements, and other issues, last year President Obama directed his advisors to draw up a set of policy options to bring pressure to bear on newly-reelected Israeli Prime Minister Benjamin Netanyahu. The most extreme, according to Eli Lake, "would have the U.S. recognize a Palestinian state or upgrade its diplomatic presence" in the Palestinian territories. Previous American administrations have maintained that recognizing Palestinian statehood before an Israeli-Palestinian peace settlement is reached would greatly damage prospects for a two-state solution to the conflict. 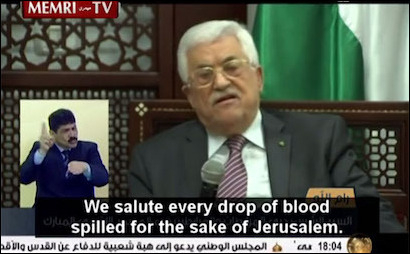 An unreconstructed Holocaust denier, PA president Mahmoud Abbas has voiced incessant anti-Semitic and anti-Israel incitement. The root cause of the diplomatic impasse is the Palestinian leadership's unwillingness to recognize Israel's right to exist as a Jewish state, which would mean giving up the so-called "right of return" to pre-1967 Israel of any Palestinian related to anyone who ever lived there. Abbas has not only repeatedly vowed never to recognize Israel as a Jewish state, but in March 2014 lobbied the Arab League to issue a statement expressing its "absolute and decisive rejection to recognizing Israel as a Jewish state." He has refused to allow Palestinian refugees living in Syria to take refuge in the West Bank, saying "it's better they die in Syria than give up their right of return." Arab-Israeli diplomacy has dealt with a myriad of subsidiary issues while tiptoeing around the conflict's central issue: "Should there be a Jewish state?" Disagreement over this answer – rather than over Israel's boundaries, its exercise of self-defense, its control of the Temple Mount, its water consumption, its housing construction in West Bank towns, diplomatic relations with Egypt, or the existence of a Palestinian state – is the key issue. In order to break this impasse, American policy must be geared to "disabuse the Palestinian leadership of its decades-long rejection of Jewish statehood," writes Efraim Karsh. [O]fficial Palestinian acknowledgement once and for all that Israel is not just here to stay, but has a right to stay, would deprive Palestinian leaders of time-honored tools for manipulating their constituents – appealing to and inflaming their baser anti-Jewish prejudices ... Instead, they will have to do things like govern well and create jobs to win public support. 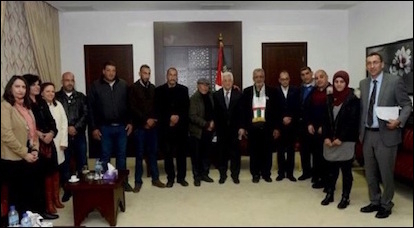 PA President Mahmoud Abbas meets with relatives of Palestinian "martyrs" in March 2016. Prematurely recognizing a Palestinian state will not only eliminate what remaining incentive Palestinian leaders have to recognize Israel's right to exist, but will vindicate the most extreme elements who have maintained all along that concessions and peace aren't needed to achieve Palestinian national aims. When Sweden extended official recognition in October 2014, notes Daniel Pipes, "Hamas ... hailed this move and called on other governments to follow Stockholm, in order to isolate Israel." [A] clan-based coalition made up of murderous political mafias ... deprives the Palestinians of even the most elementary rights, robs them of billions in aid from the U.S. and Europe, keeps most of them in penury and misery, oppresses women, gays and lesbians, and all who aren't Muslims. It foments rage against Israel by incessant incitement that calls on even small children to kill Jews everywhere. Granting it statehood is not the path to peace. With the New York Times calling on Obama to "lead the Security Council to put its authority behind a resolution to support a two-state solution" in an October 6 editorial, it is surely too late to persuade the president that peace-less recognition of Palestinian statehood is intrinsically a bad idea. But there may yet be time to deter the president from putting his beliefs into action. MEF Washington Project Director Clifford Smith argues in The American Spectator that Congress can make clear its intention to sanction any unilaterally-declared Palestinian state, completely cut hundreds of millions of dollars in annual U.S. direct aid to the Palestinian Authority (PA), mandate that any newly-created Palestinian state be designated a state sponsor of terrorism, and update decades-old federal laws prohibiting U.S. funding of UN agencies that accord the PLO "the same standing as member states." This doesn't mean the United States should oppose Palestinian statehood as an aspirational goal. MEF Shillman-Ginsburg Writing Fellow Alexander H. Joffe and MEF writing fellow Asaf Romirowsky argue that the international community should defund UNRWA, which perpetuates the Palestinian refugee problem by creating a cycle of dependence, and instead give aid directly to the PA. While "fully acknowledging that the PA is corrupt," they suggest that obliging it to "take responsibility for its own people" is more conducive to the development of a stable, responsible Palestinian state than continuing to fund UNRWA (see Clifford Smith's op-ed on his recent visit to an UNRWA camp). "When Palestinians stop chanting for the death of Jews and Israel, and start working to secure their own state, they will achieve it," writes MEF Robert J. and Abby B. Levine Fellow Tarek Fatah. Until then, helping Abbas try to circumvent this path to statehood will only bring disaster to Israelis and Palestinians alike.